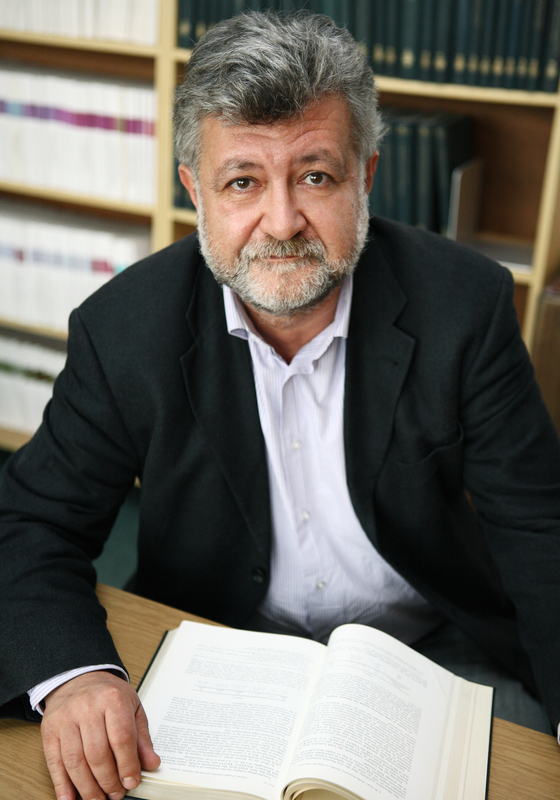 Prof. Maciej Lewenstein – born in 1955 in Warsaw. A theoretical physicist. Performs research in the areas of quantum optics, physics of ultracold gases and quantum computing. Since 2005, he has been working in Spain at the Institute of Photonic Sciences (ICFO) in Castelldefels and at the Catalan Institute of Research and Advanced Studies in Barcelona. He studied at the Physics Faculty of Warsaw University, attaining a Master’s degree in 1978. Between 1980 and 1995, he worked at the Theoretical Physics Centre of the Polish Academy of Sciences. He defended his PhD thesis at the University of Essen (1983) and his postdoctoral dissertation (habilitation) – at the Physics Institute of Polish Science Academy (1986). He holds the title of professor since 1993. He has pursued his research work at numerous scientific institutions worldwide, including Harvard University, the Universities in Essen and Hanover, Joint Institute for Laboratory Astrophysics (JILA) at the Colorado University in Boulder and the French Nuclear Research Centre (CEA) in Saclay. He has coordinated several tens of research projects and supervised 22 PhD students, several of whom are currently professors at universities and research institutions worldwide. He is presently a supervisor of 8 PhD theses currently under development. Organizer of numerous international scientific conferences. Author of nearly 400 publications. Several of his publications belong to the group of 1% of most frequently quoted works in the recent decade. Co-author of the monograph “Ultracold Atoms in Optical Lattices: Simulating Quantum Many Body Physics”, which is scheduled to be published in 2012 by Oxford University Press. He is also a laureate of the Humboldt Science Award (2007), ERC Advanced Grant (2008) and of the Hertz Foundation Award from the University of Hamburg (2010). Professor Lewenstein is awarded the Foundation for Polish Science Prize for his achievements in the field of quantum optics and physics of ultracold gases. The laureate has made exceptional contributions to the development of these fields with his theoretical works frequently concerning breakthrough experiments, such as the first observation of dark solitons in Bose–Einstein condensates. In the last decate, Professor Lewenstein has focused on research on closely correlated ultracold quantum gases. The research on those systems has led to the experimental realization of the so-called quantum simulators, which are in fact the first dedicated special-purpose quantum computers. Quantum simulators allow for the understanding of complex quantum physics of many body systems as well as such phenomena as superfluency and superconductivity. Professor Lewenstein’s research also pertains to the field of interferometry of matter waves and their potential applications in precise measurements of time and frequency. Professor Lewenstein is considered to be the world leader in the field of modern physics. As he contributes to the development of that domain, he also broadens the scope of knowledge on the fundamental principles of nature.